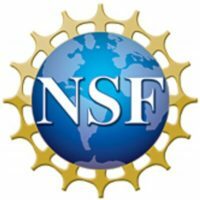 These guidelines were established to articulate successful strategies for mentoring African-American doctoral students in Computing Sciences (CS). iAAMCS defines “student mentoring” as the process of supporting, encouraging and guiding students’ academic and social progress with the goal of facilitating career and personal development. Grounded in project-based results and similar empirical research, the following guidelines emerged: (1) recruit strategically, (2) establish community, (3) foster a research culture, (4) provide holistic advising, (5) provide funding and (6) promote professional development. 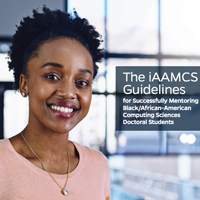 iAAMCS hopes that institutions, departments and faculty use these guidelines to bolster the participation of African-American students pursuing doctoral degrees in CS. 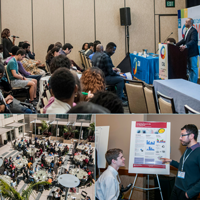 Although the iAAMCS Guidelines serve as best practices for mentoring African-American students in computing, these strategies are useful for optimal mentoring all students. iAAMCS data suggests that implementation of the practices outlined in these guidelines will enable African-American students to persist and graduate in CS PhD programs across the US. Integral to the iAAMCS Guidelines is the assertion that inclusion is key to the success of African-Americans in CS and that inclusion is the responsibility of all campus constituents. Using the “7 Barriers to STEM Disciplines and the PhD” as a rubric*, the following guidelines aim to mitigate the challenges students face in pursuit of their doctoral degrees. Click here to download a pdf of the guidelines. *Jackson, J.F.L., Charleston, L. J., Gilbert, J.E., & Seals, C., (2013) Changing Attitudes About Computing Science at Historically Black Colleges and Universities: Benefits of an Intervention Program Designed for Undergraduates, Journal of African American Studies, 17, 2, pp. 162-173.